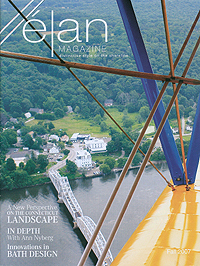 Experience a thrilling ride in an authentic 1941 Boeing Stearman, a classic biplane tour of the lower Connecticut River valley and Connecticut Coastline - or choose your own flight plan. 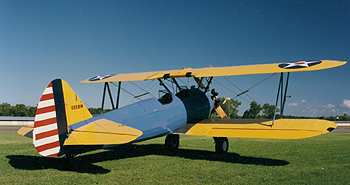 "New Perspectives on Fall Foliage"
Gain a fresh appreciation for the landscape... charter the 1941 Stearman bi-plane or take the family up in a Cessna 172. Chester Charter currently offers two ways to enjoy fall foliage: History buffs can go up in the airport's own World War II trainer, a 1941 biplane that seats one passenger and a pilot. Meanwhile, couples, families, and small groups might prefer chartering a Cessna, which can accommodate about three people for their tour. Dimensions : 2712 x 50 ft.